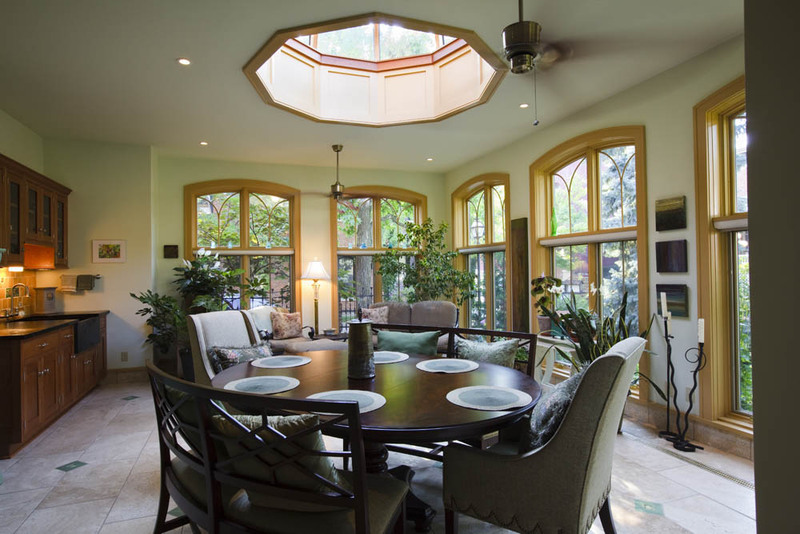 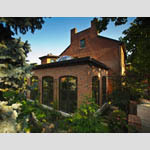 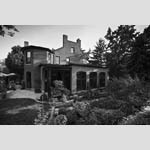 The homeowner sought a new garden conservatory on the side of an existing mid-19th century Greek Revival residence. 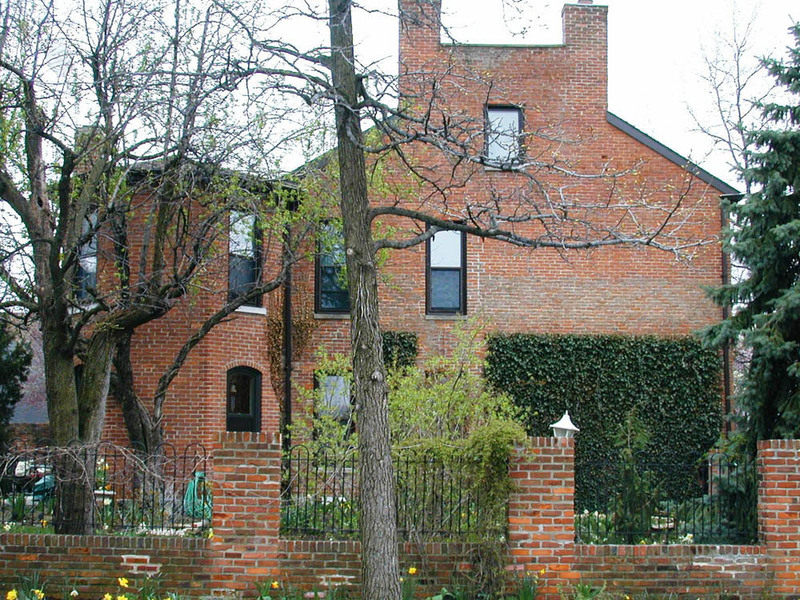 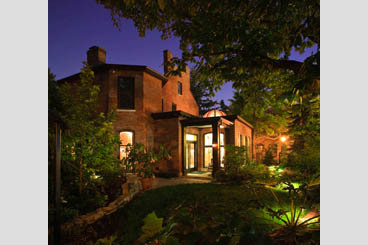 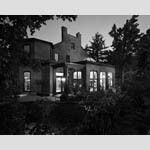 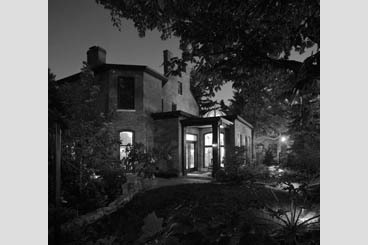 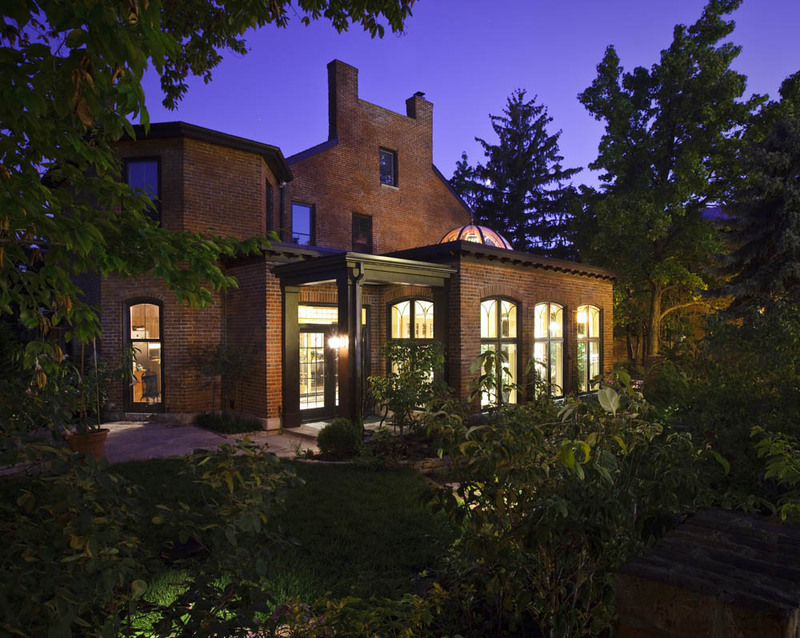 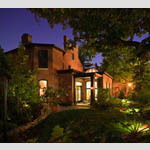 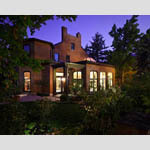 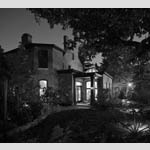 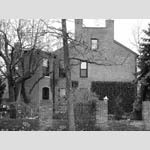 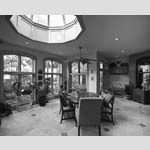 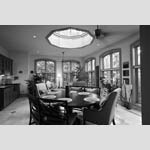 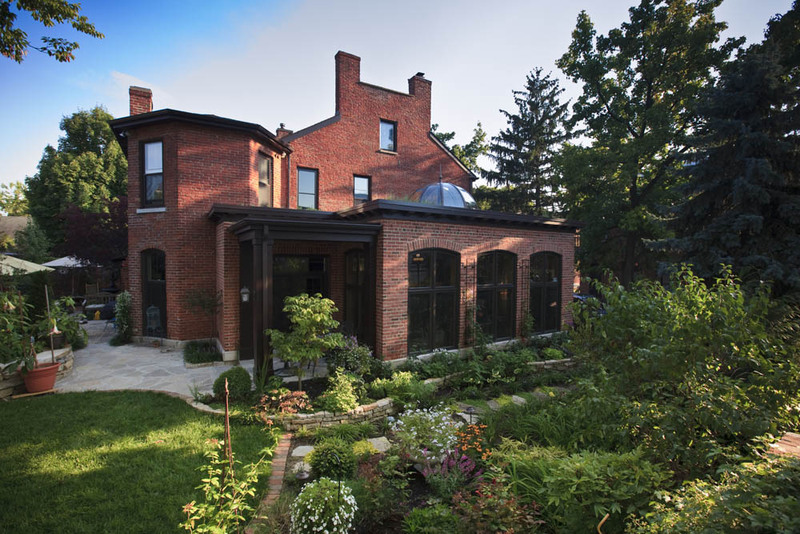 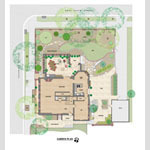 The project presented two challenges: protecting an existing garden and blending the new construction into the historic home. 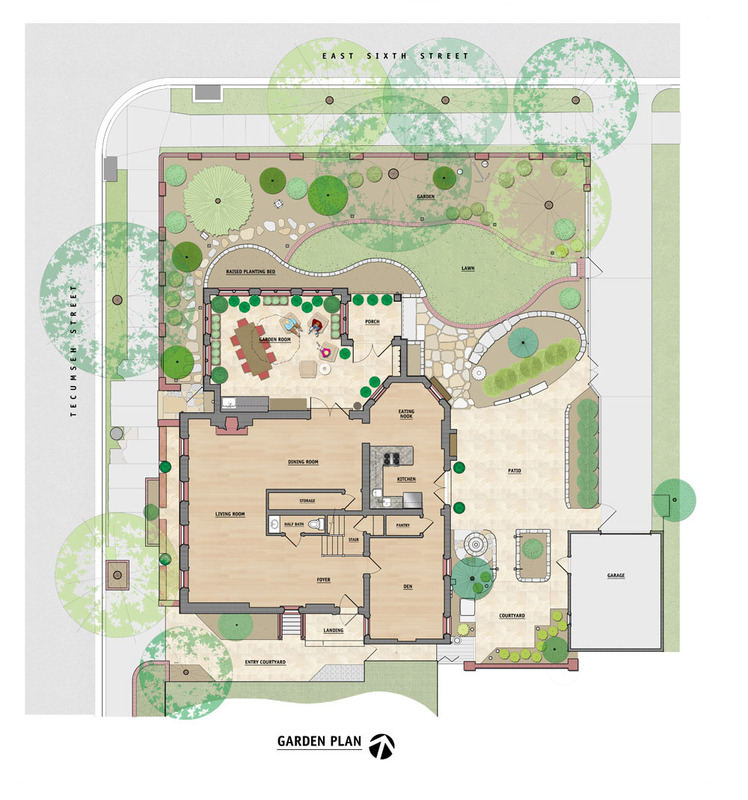 Great care was taken to temporarily transplant and later relocate established plants following construction. 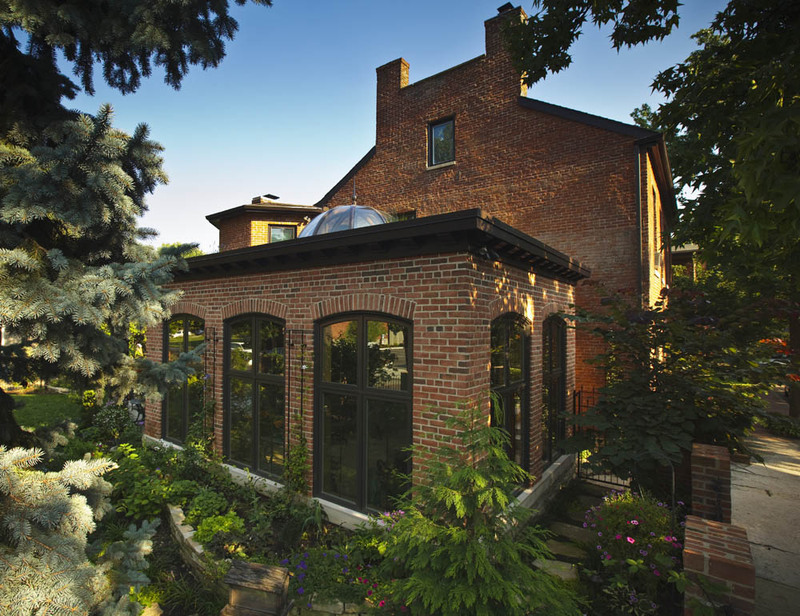 To match the new addition with the existing structure, careful attention was paid to the window design and to the selection of building materials, including the brick, the type and consistency of the mortar and the incorporation of historic pieces of limestone. 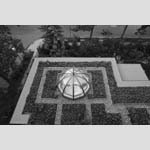 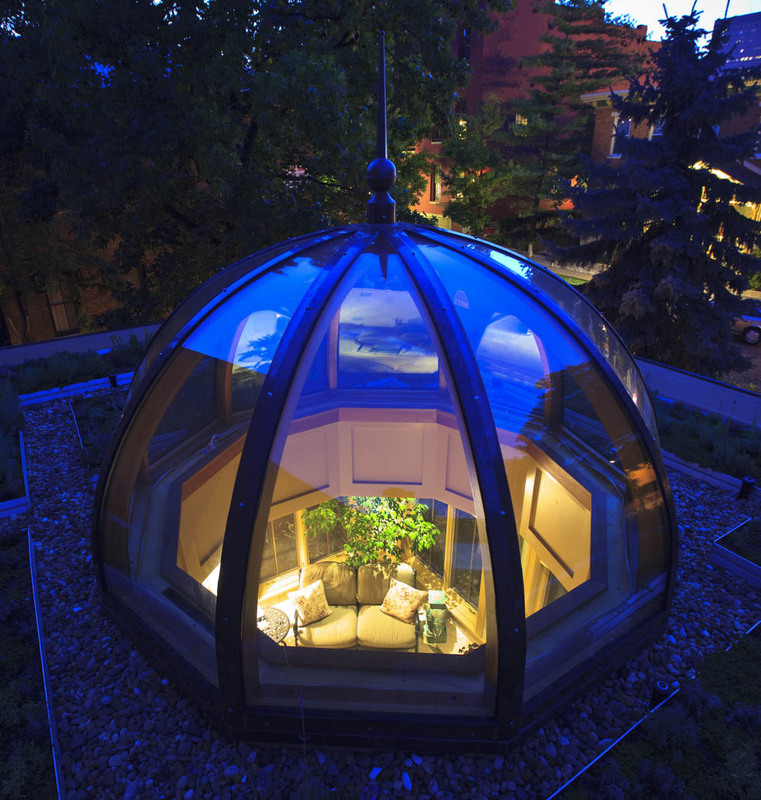 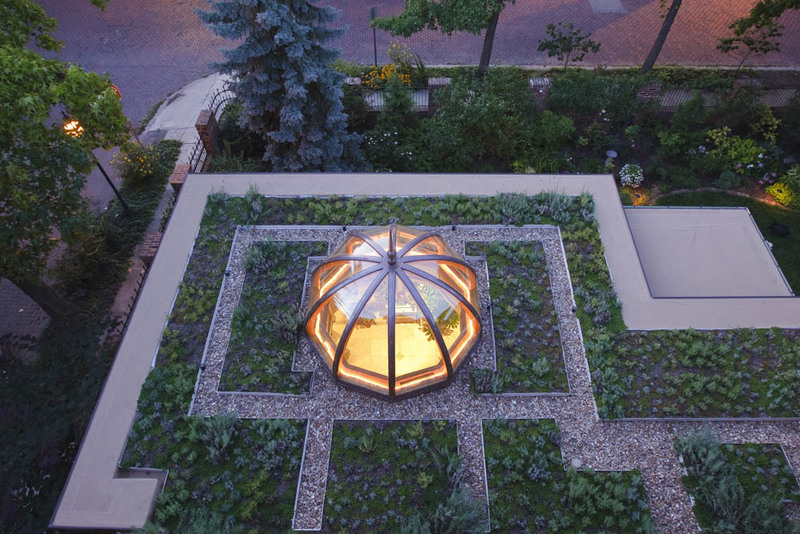 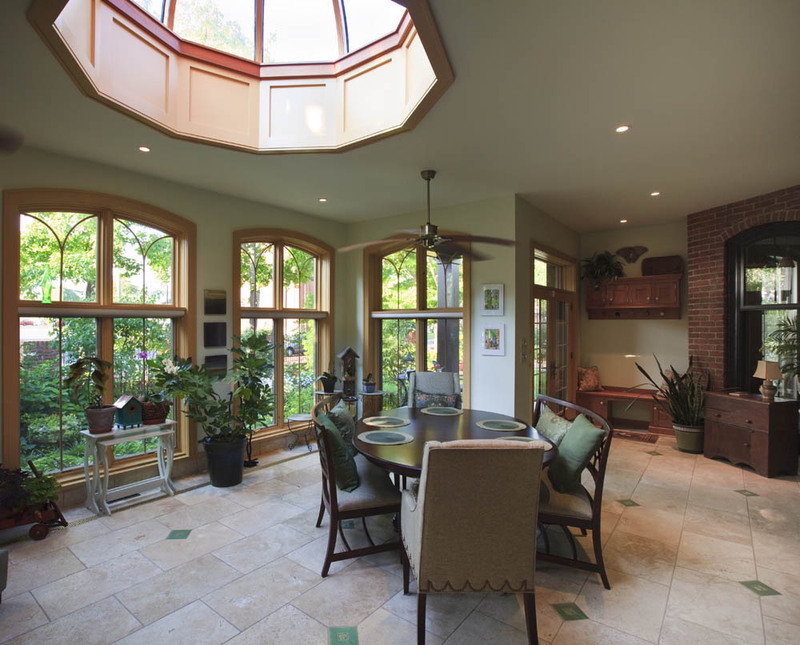 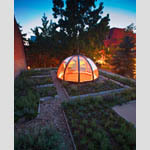 An irrigated living roof system was installed over the addition with an 8-foot-diameter segmented domed skylight in the center. 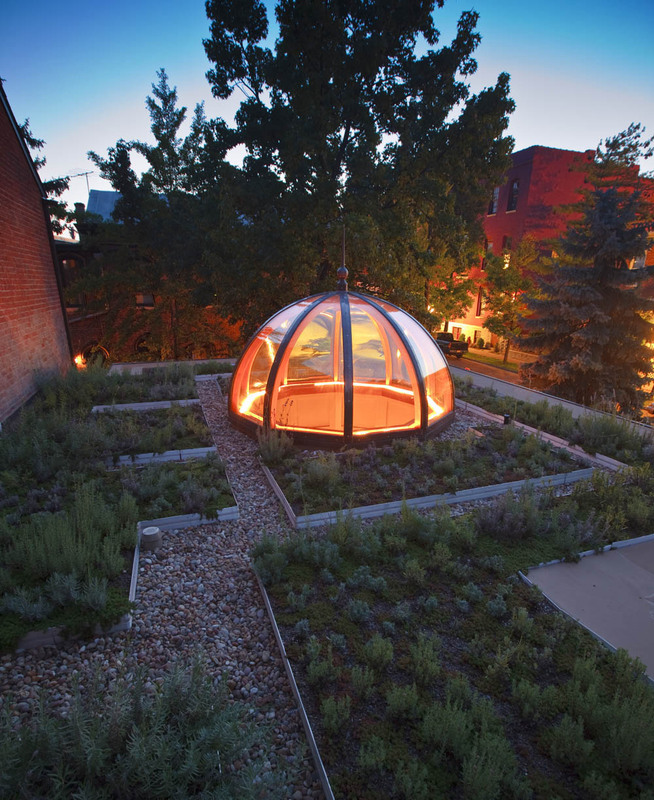 The living roof is accessed from the second floor and undergirds a 6-inch bed of engineered soil supporting a variety of plants, including two types of sedum and four varieties of lavender.